Drug Take Back Day is April 27th, 10 am to 2 pm. Bring your unused Rx, veterinary and OTC medications to Niskayuna Town Hall and we will do the rest! Junior Prom Forum a success! A number of students and parents from the class of 2020 joined us for the forum. Winners of the door prizes included Dara Weingarten, Josie Canestrari, Gracie Ciccarelli, Abby Auster, Yasmin Torres and Chris Bernard. 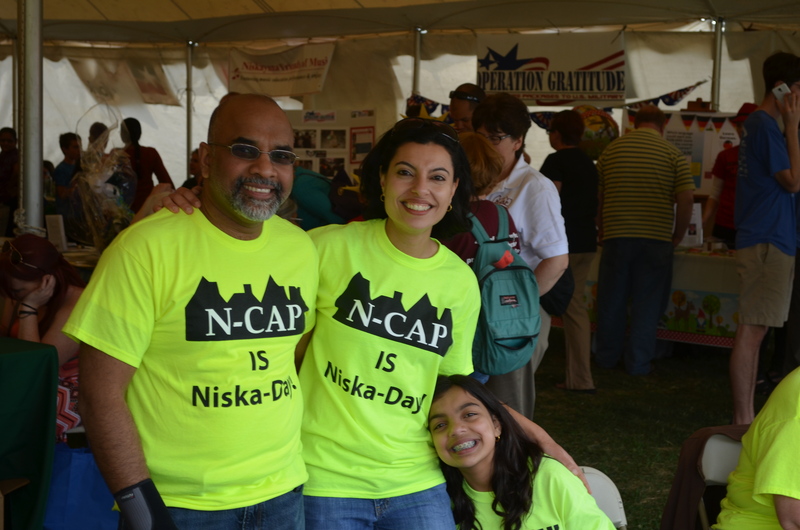 Mark Your Calendar for NiskaDay 38 - Saturday, May 18, 2019! For more information or to register as a vendor, please visit the Niska-Day website! N-CAP recently gathered together a diverse group of key community leaders at the Second Annual Key Leader Breakfast. Discussions included an overview of the past 5 years with the SAMSHA grant, the renewal of the grant, and how to continue working together to reduce youth substance misuse. Thank you for Joining us at Niska- Game 2018! Click here to see photos and sponsors of this year's event! 25 youth had the opportunity to challenge themselves mentally and physically through high ropes courses and small group activities; learn stress reduction techniques and substance misuse prevention techniques all while having fun and surrounding themselves in the majestic nature of Lake George. Check back for 2019 camp dates! To see more pictures from the weekend, click here! On Wednesday, June 6th, NCAP presented the President’s Volunteer Service Awards. At this year's PVSA ceremony we recognized 42 people in our community. These people range in age from 6 years old and up and have collectively spent 17,914.75 hours in doing community service. This translates to 746.45 days or 2.05 years! Our opening flag ceremony was led by girls from GS Troops 2383 & 2351 assisted by Bianca Sciochetti as their caller. Special guests were Jeanne Sosnow, President of N-CAP & Yasmine Syed, Niskayuna Town Supervisor. We hope that everyone is saving their community service hours to submit for the 2019 ceremony. To see a list of this year's participants and to view pictures from the event, click here. We are an all volunteer, community coalition whose mission is to improve the quality of life for all those living, working or learning in the Town or School District of Niskayuna with an emphasis on substance abuse prevention by youth.